Just because you do not have a green thumb does not mean that you can’t have beautiful floral arrangements and stunning plants in your home. Silk plants can be the ideal way to add style and visual appeal to any room of your home. The best part is that silk plants will last and will not wither and die like real plants or flowers. If you do choose to invest in silk plants, it is important that you know how to care and clean them. 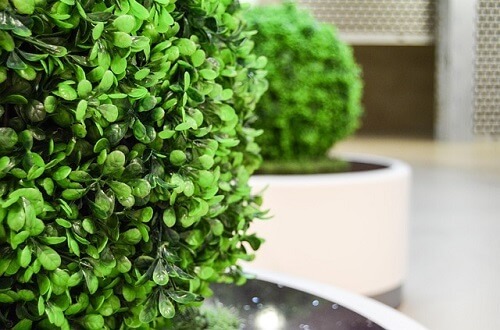 Unlike real plants they don’t need to be watered, fertilized or anything like that, but like everything else in your home they will require a bit of care if you want them to continue looking nice day after day. The main concern that you have when you are cleaning silk plants is dust. Dust will attach to the leaves of your silk plant with ease. It does not take much time for dust to build up. This means that if you want to keep your silk plant looking great you need to be sure that you are keeping dust from accumulating. This does take some time and some unique methods to accomplish. One of the best cleaning tools that you can keep handy when you own silk plants is a feather duster. This is a tool that you can easily use to remove the dust from your silk plant. All you have to do is to take your feather duster and just lightly remove any dust from the surface of the plant. If you want to have the best results and silk plants that look great, you need dust your silk plant with the feather duster at least once a week. If you are looking for a bit more of an inventive way to get of the dust from your silk plants. It is best to try using a hair dryer. This is beauty tool that can do a lot more than just dry your hair. You can use a hair dryer to get dust off of your silk plants. You just have to aim your blow dryer directly at the dust and then use the power of the blow dryer to remove the dust from the surface of your silk plant. Just be sure that when you are using a hair dryer for the removal of dust that you are only using the lowest and coolest setting possible. If you apply heat to your silk plant, it is possible that you could cause unwanted damage. It is also possible to use water when you are attempting to clean silk plants. You just want to be sure that you are applying water and mild soap detergent to a rag before applying the rag to the leaves of the silk plant. A small amount of water really will go a long way. This is a great way to have your silk plant looking like new in just a matter of minutes.